If you haven’t already submitted your ballot for the 2018 CCFC Election, it’s not too late. District ballots were sent in September to farms in those districts. 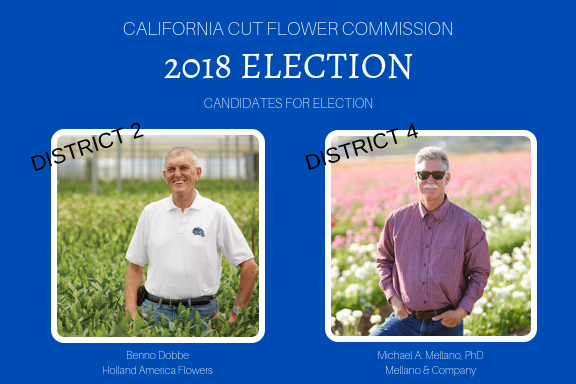 Michael A. Mellano, Ph.D., Mellano & Co.
Ballots must be sent to CDFA, post-marked by Oct. 9, 2018, so don’t delay. Contact CCFC’s Andrea Philpot with questions at aphilpot@ccfc.org.